In an increasingly fast-paced world, we know that while people want the most professional efficient service, they still prize the fundamentals of honesty and integrity from real estate consultants committed to achieving their clients' goals. That's why at Harcourts Hastings we combine world-renowned technology, training and systems with a focus on establishing trust and respect with our clients who always remain at the centre of the process. Whether you're buying or selling residential, commercial, rural, lifestyle, holiday rentals, land or a new home at Harcourts Hastings we're proud to say we put the focus on Global. National. Local. and most importantly, YOU! Down-to-earth, friendly and good natured, Jason’s strong work ethic and determination coupled with his easy going disposition makes him the ideal agent. It is for this reason he continues to be such a success. A dedicated real estate professional with vast industry experience, Jason thrives on the constant challenge of bringing unrivalled service and outstanding results to his clients. Highly skilled in property marketing and negotiations, he is a proven performer who strives to exceed his clients’ expectations. It is because of this that Jason is called in time and time again by his past clients and prospective customers for all their real estate needs. "I really enjoy selling Real Estate within Hastings, one of the gateways to the southern Mornington Peninsula. A country town, with metropolitan convenience offering the wonderful Westernport Bay and a strong sense of local community" Jason’s straight-forward and honest approach to the sales process has allowed him to set many record prices over the years in various suburbs, estates and apartment buildings making him the obvious agent of choice for anyone looking for the best possible result. 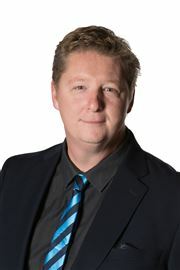 Jason holds a Victorian Licence in Real Estate and is also qualified with a Bachelor of Business (Marketing). This education and knowledge enables him to confidently assist in all areas of property. A good listener, Jason fully appreciates that no two buyers or vendors have identical needs. In his private time Jason enjoys catching up with friends, travelling and outdoor sports. Tim Ripper has been a part of the real estate industry since 2006. With recognised excellence, a hard work ethic and honesty makes Tim one of the leading agents in the area. Tim has extensive experience in customer service and he also took on a roll as an English teacher in Eastern Europe, which certainly demonstrates great patience and exceptional organisational skills. Living on the Peninsula Tim has great local knowledge, he eats local, drinks local, surfs local and is a massive advocate for the whole area, he wouldn’t live anywhere else. Tim strives to exceed all his clients expectations by delivering an unrivalled level of customer service. Grant Kersley has had an impressive career in sales and managing sales teams with over 30 years of experience. Grant became a fully licensed real estate agent at a very young age after entering the industry shortly after completing his formal schooling. Grant has extensive knowledge of marketing having run his own marketing business and working with large corporations. He has also led teams of people in the marketing and sales industry in the extra capacity of training and coaching. Grant was embedded in the local community between 2009 - 2013 managing a Mornington Peninsula office specialising in Print, Mobile and Digital marketing solutions and with his sales team were actively involved with the local business community/local chambers of commerce and sponsorship of many local business and community events. In 2014 he progressed back to his passion, Real Estate, where he has enjoyed immediate success marketing and selling homes from Seaford to McCrae and across to Westernport. Grant lives on the Mornington Peninsula with his wife Kylee and daughter Tiana and describes it as one of the best places in the world to live in. In his spare time he enjoys playing golf at the National Golf Club and spending time with his family enjoying the many things the Mornington Peninsula has to offer. Grant is self-motivated and energetic with highly developed communication and negotiation skills. His past experience enables him to offer his clients outstanding customer service combined with successful marketing strategies to ensure an optimal outcome for all parties. He is also considered a true gentleman and is quick to put other people at ease. He is a consummate professional and someone you definitely want in your corner for all your real estate needs. Jacqui has lived and worked on the Mornington Peninsula for the last ten years and has been involved in different aspects of Real Estate from renovation and development here and abroad - now focusing on a successful career as a Real Estate Agent here at Harcourts. 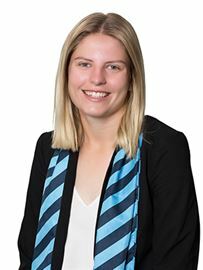 A highly motivated and dedicated member of the Harcourts sales team, Jacqui has forged a strong connection with her Westernport /Mornington Peninsula local backyard and is an advocate of the relaxed lifestyle. With expertise in residential real estate, Jacqui is a successful communicator with a network of contacts to deliver outstanding results for sellers and landlords. From modest town houses to substantial acreage estates and everything in between, she offers a professional service to ensure every need is met. Jacqui’s priority is to meet the individual needs of her clients and their property. She believes that organization and a structured approach is the key to help clients on their real estate journey. She carefully manages the whole process to ensure a smooth, seamless and successful outcome. Jacqui moved to Australia from the UK in 2007 and in her own words “has never looked back”. After successfully running two Hair Salons in the UK which led to acquiring a great business acumen, Jacqui has also successfully completed an Accounting and Business degree whilst raising her family and managing her business. 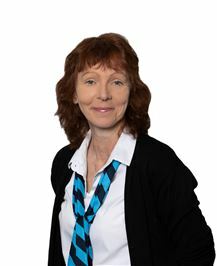 Here in Australia she has had a successful career with the Commonwealth Bank for 7 years based in Malvern and then finally in Hastings, now Jacqui is devoting her passion and applying her specialist skills and local knowledge to her reputable Real Estate career - focusing on areas of Balnarring, Balnarring Beach and Somers. Growing up on the Mornington Peninsula and having parents who were developers, Jake has a plethora of local knowledge and is aware of the trials and tribulations that come in the process of buying and selling real estate. After high school Jake completed his Business Degree at Monash University majoring in Marketing and Management, giving him the theoretical framework for a successful future. In conjunction to this whilst having time away from school Jake would be involved in the construction industry having experienced an array of trades from landscaping, concreting to bricklaying and carpentry. Jake believes this mixture of theoretical and practical background was a perfect fit for a career in the real estate industry. From a young age Jake competed at a high level in Soccer, Football and Basketball, giving him the competitiveness, persistence and work ethic to have the building blocks for a successful real estate career. In his spare time, Jake enjoys keeping active through playing cricket or going to the gym, following his much-loved Geelong and socialising at his local football club. The natural ability to connect with people and forming relationships through being personable, empathetic and professional demonstrates Jake will achieve great things in real estate. A local resident of the community for over 48 years, Wendy possesses a wealth of knowledge about the Mornington Peninsula and has experience in all aspects of real estate – commercial and residential leasing and sales, investing and property development. Obtaining her full Real Estate Licence in 2013, Wendy’s enthusiasm and desire to learn more about property and Real Estate keeps her up to date with modern trends and industry information. ”l love the excitement of Real Estate…never is it boring! It provides a great platform for further learning and opportunity for challenge…l love to be challenged!” She has a holistic approach to real estate and customer service. “With my study background and industry skills, I advise and educate my clients in regards to their real estate needs; support them during what is for most, a stressful process when selling a home; and pride myself as being a skilled negotiator (an art within itself). I work closely with my clients where they receive the highest level of service, honesty, integrity, determination and the highest price for their biggest asset…so that in the end they achieve their lifestyle goals”. Liane comes to us with 9 years Property Management experience. Hard work, motivation and professionalism are cornerstones of Liane’s work ethic and these traits make her an integral member of our Rental Team. 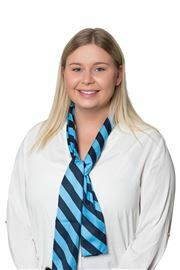 Liane’s genuine personality shines through on her working style this helps her focus on client care and understanding. Liane exudes a passion towards helping people achieve their property aspirations, whether it’s attracting the best tenant or supporting and showing clients how to maximise their investment. Liane’s clients describe her as a ‘breath of fresh air’ with her ability to always smile, answer a question or face problem solving head on. In Liane’s down time she enjoys camping, fishing and spending time in her garden. 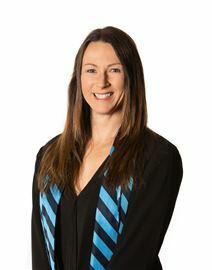 Ruth started in the real estate industry in 2002 working across the Mornington Peninsula. 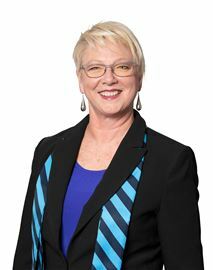 She brings a considerable wealth of knowledge and experience from her years as senior property manager to Harcourts Hastings. With her strong listening and negotiation skills, Ruth believes that ‘negotiation is the better part of business’ and will always strive for the best outcome for all landlords and tenants. Ruth’s experience and professional goals ensure that your property will be correctly marketed to reach the desired target market, ensuring efficient and effective leasing of your property to strengthen your investment portfolio. She understands the benefits and pitfalls attached to property investment and will take time to discuss every aspect of the leasing process ensuring you are confident that your desired outcomes are not only met, but exceeded. She understands the importance of a property that is well presented and correctly maintained, which then strengthens a landlord’s investment portfolio and future sales potential. Ruth is committed to ensuring our landlords have quality tenants who will care for their property as if it were their own. When away from the office Ruth loves camping with her husband and dogs, walking on the beaches, gardening and continuing to serve the community as a volunteer with the C.F.A. With over 12 years’ experience in the industry, Carole began her career with Harcourt’s in 2009. Starting out as a receptionist, Carole has worked her way through various roles including Personal Assistant, Property Manager and is now our Office Manager. During her spare time, Carole enjoys spending time with her family and friends and is involved with her local football club acting as a team manager. Carole prides herself on attention to detail and does her very best to ensure that every transaction runs as smoothly as possible. 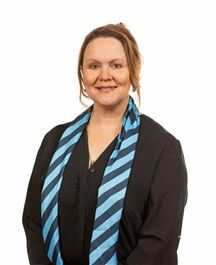 Kirby grew up in Tasmania for most of her life before making the big move to the Peninsula. Working as a hairdresser for the majority of her career, Kirby is excited and motivated about using her friendly, cooperative people skills to take the leap into Real Estate. As our first bright and bubbly front of house Kirby has already proven to be a valuable, hardworking, dynamic member of our team. 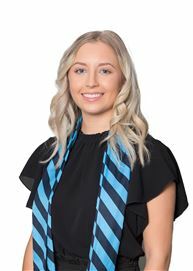 Rhiannon joined the team at Harcourts Hastings in November 2017 in Jason Dowler’s team as the team administrator, where she enjoys being a vital part of a highly successful and motivated team. With a background in Sales, Rhiannon avails herself to assist her fellow team where needed, and considers herself a happy, cheerful, all-rounder, as well as being extremely fortunate to work 2 minutes from home! Having been raised on the Mornington Peninsula, Rhiannon enjoys nothing more than getting to live and work in the place she has called home for 27 years. Growing up in Mount Martha for the majority of her life, Rhiannon made the move to Hastings in 2015 where she and her now fiancé’ began a life together, this is where Rhiannon’s love for Hastings began. Rhiannon has a background in Justice, Administration, Office management and of course, Real Estate, which she began in 2014 as sales cadet/PA. 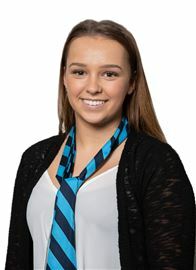 Rhiannon continued in various sales roles for a further 3 and a half years where she then moved into a Sales Administration Role. Having had met Jason in 2016 when Rhiannon purchased her block of land through Jason, she stayed in contact with him and as luck would have it, the stars aligned in November 2017, and the perfect position became available for Rhiannon within Jason’s Team. Rhiannon Loves being a part of such a vibrant and driven team, where she can play a part in assisting clients with their real estate dreams! Bay Vista - Move In And Relax! Rural Retreat on 2.5 Acres! Light bright & Just Right! In the Heart of Hastings!